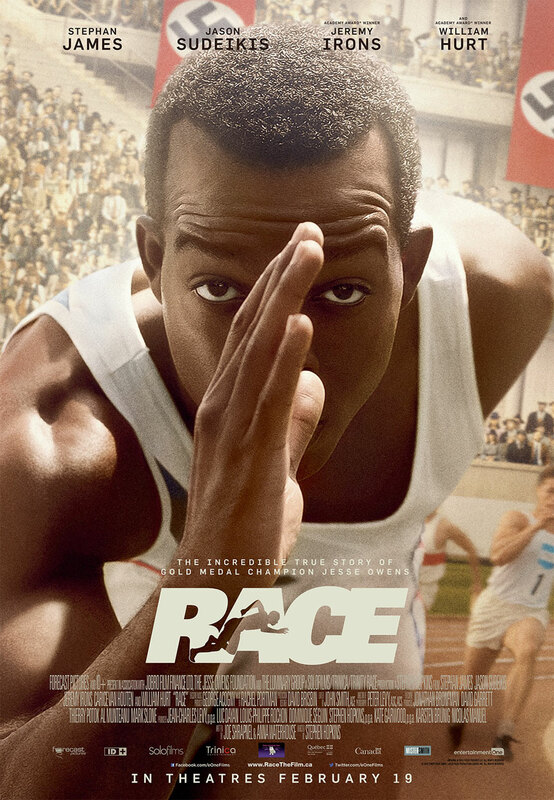 Partially shot in Montreal, this is the true story of Jesse Owens (Canadian actor Stephan James), the African American track and field athlete who won four gold medals at the 1936 Olympics in Berlin. Owens goes to Ohio State to study and while there, is spotted by coach Larry Snyder (Jason Sudeikis), who recognizes Jesse’s potential. He inspires Jesse to aim for gold at the next Olympics, to be held in Germany. Meanwhile American officials deliberate on whether the United States should participate or withdraw, due to Hitler’s Nazi regime and its treatment of Jews and other minorities. Race is a France-Germany-Canada co-production.